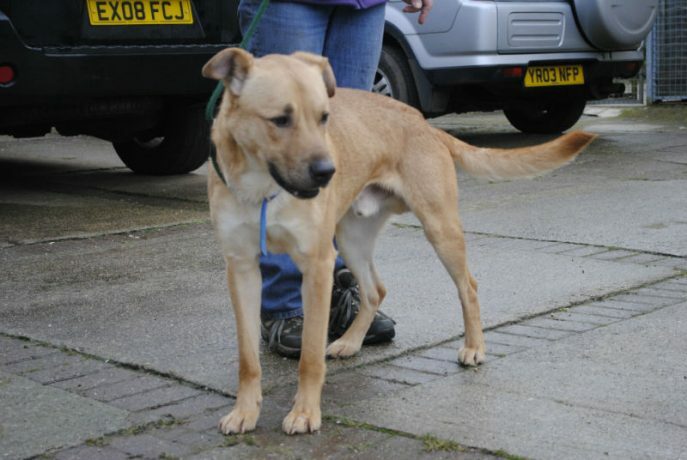 Another new boy on the block, arriving from a pound over the Christmas dumping spree! 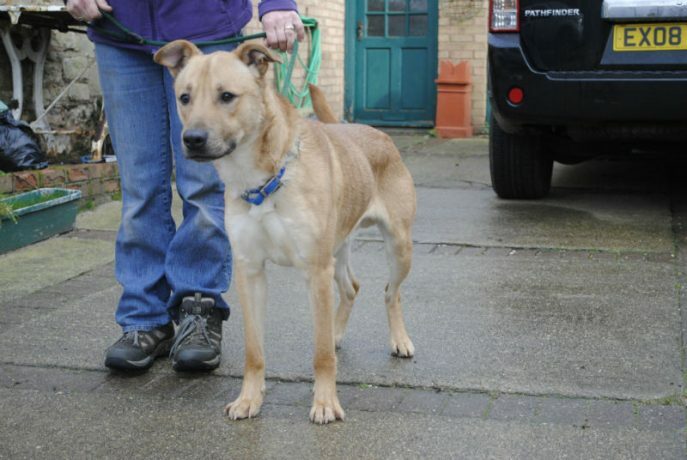 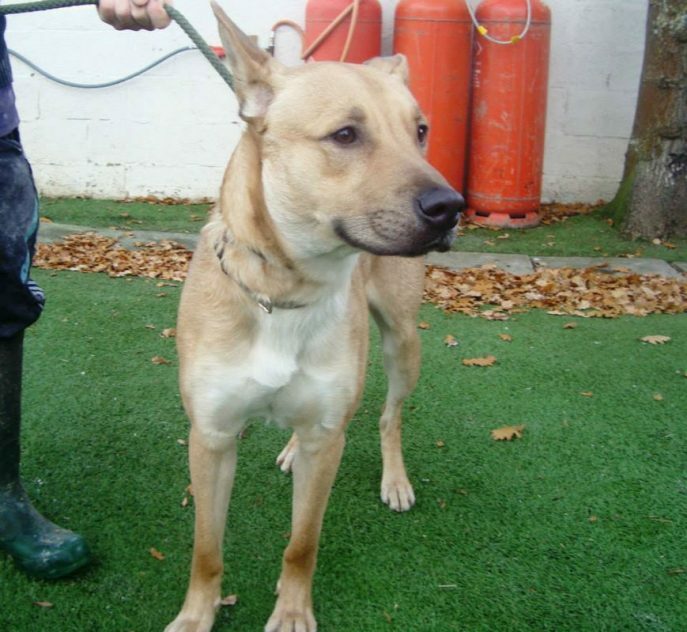 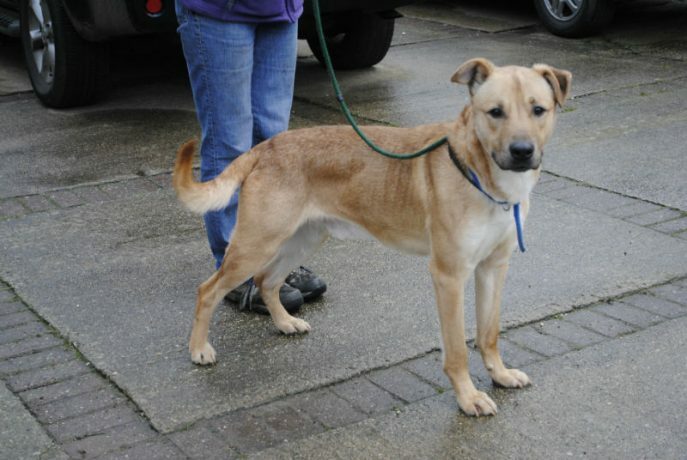 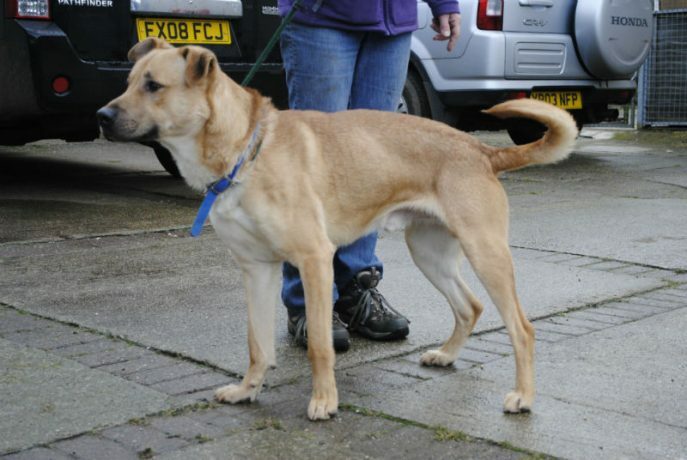 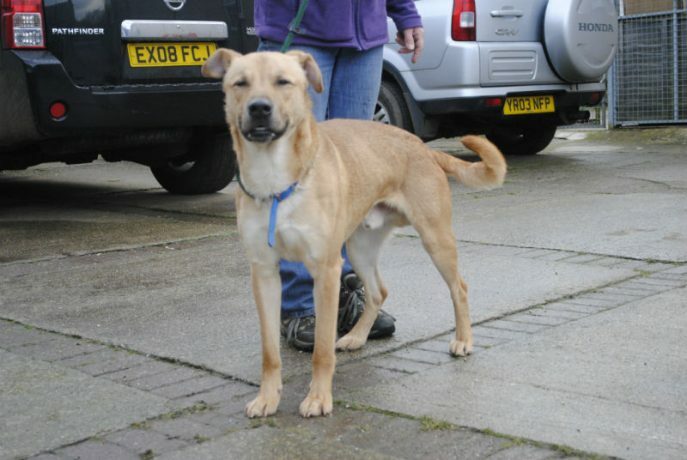 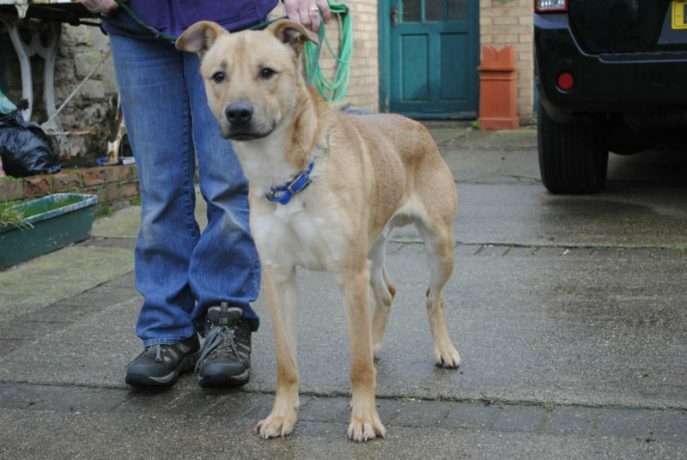 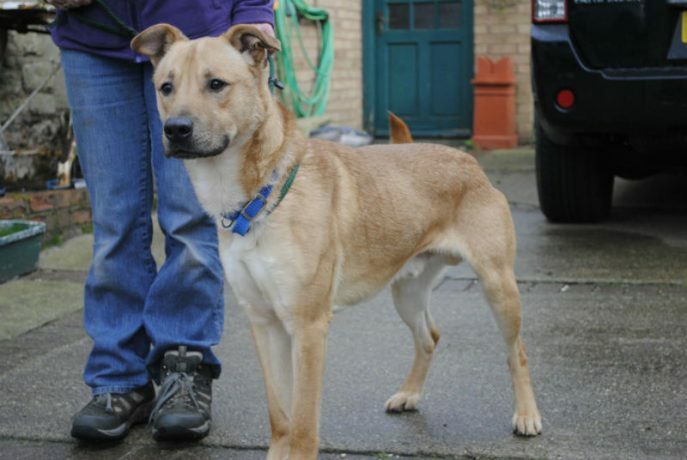 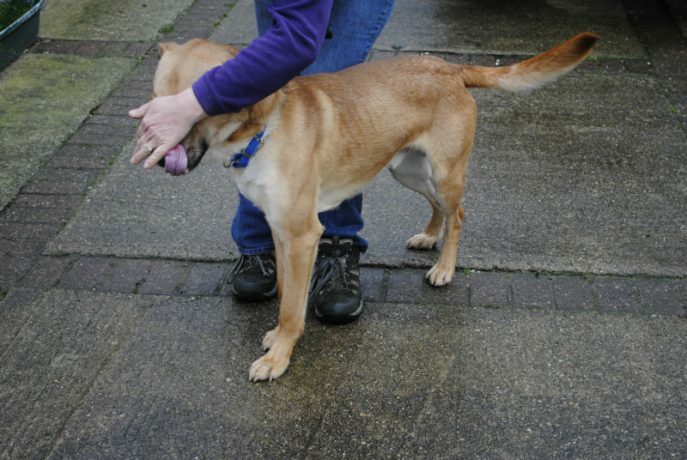 The gorgeous blond bombshell that is Simba, shep X lab X Staff maybe, around 12 months old. 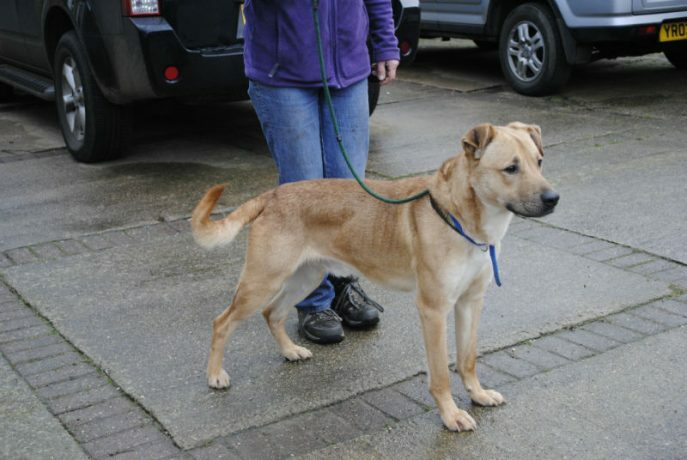 Since Simba has been in our kennels he has shown himself to be a loving boy, very eager to please and shows his excitement at anything you do with him. 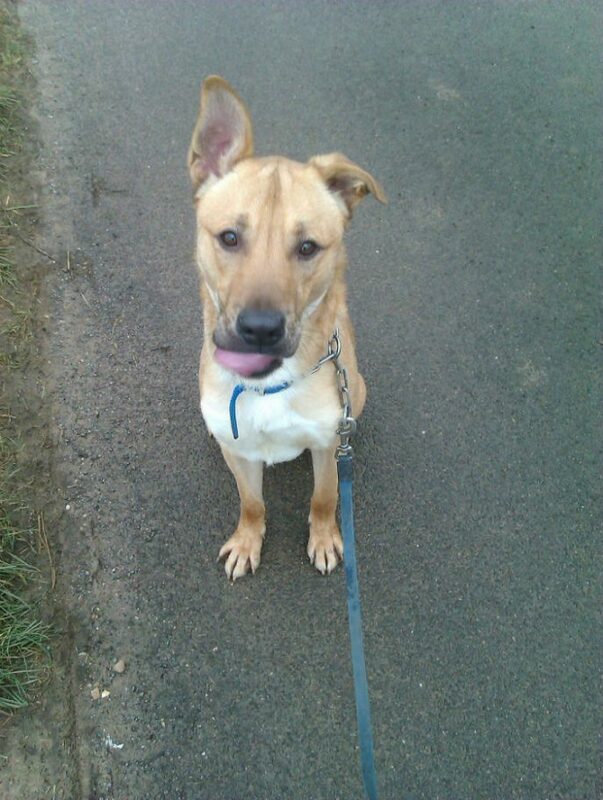 Simba has now been out on a few group walks and loves them, he is a bouncy pup who needs to be shown boundaries, love and training to develop into a lovely family dog. 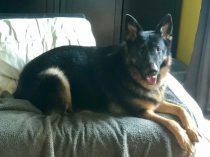 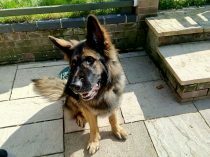 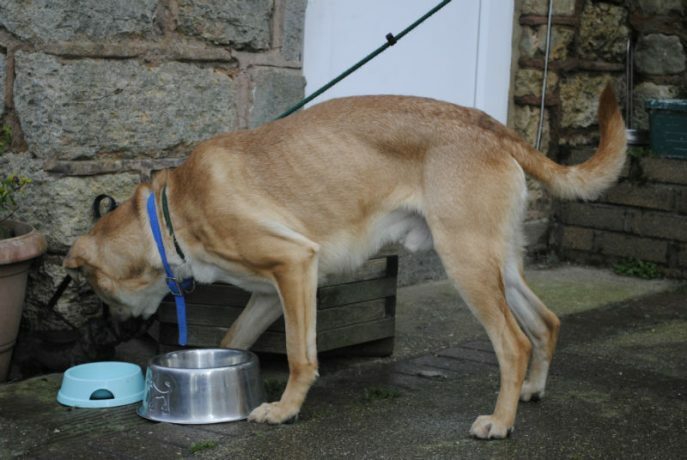 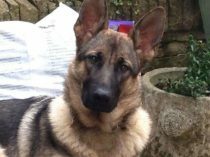 Simba has met cats and is fine in the home with a confident cat, good with all dogs he has met, large and small but an absolute no with livestock, took an instant dislike to horses so can only think other large animals will be the same. 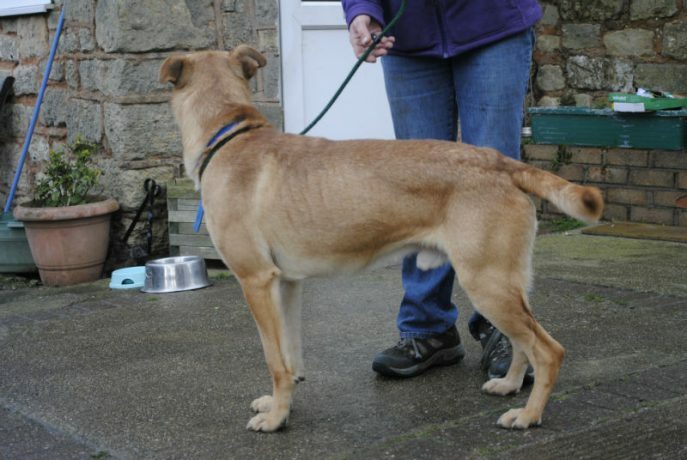 He is now neutered and chipped. 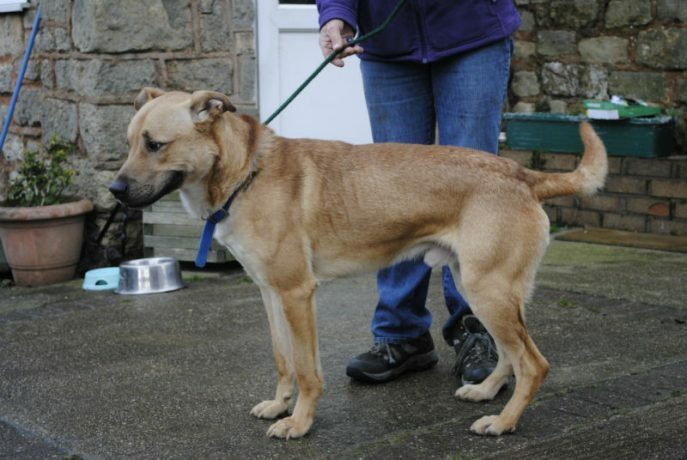 I am sure this lad would fit right into any family if anyone would like to give him a try! 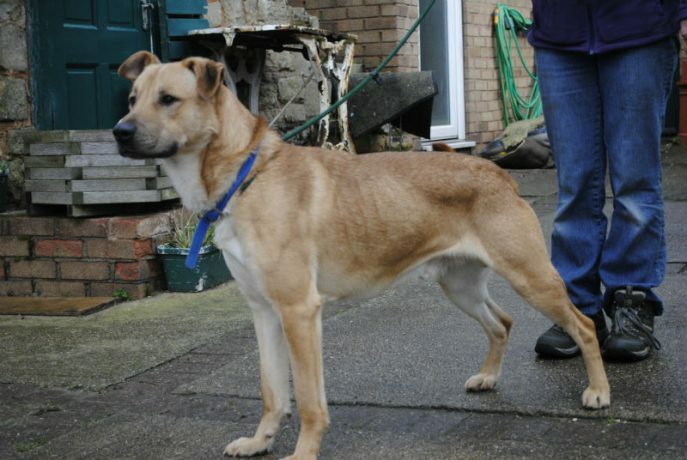 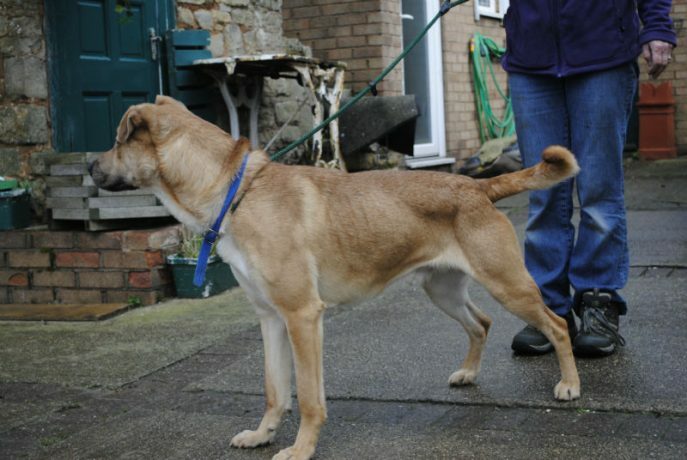 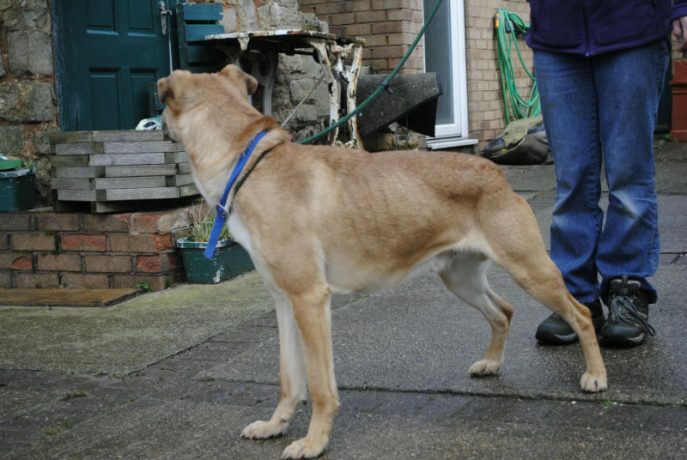 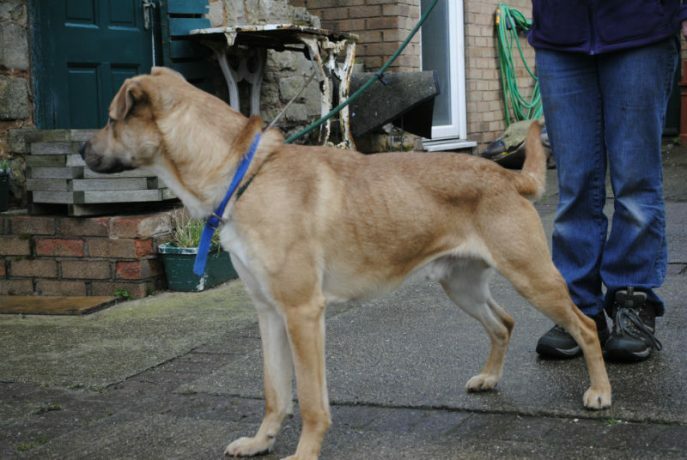 The lovely Simba has a great family of his own now!